Anthony Scaramucci, we hardly knew ye. It was during the process of editing this special podcast on press freedom that the news broke about Scaramucci’s departure, once again stirring the media whirlwind engulfing the Trump White House. From left, Sandy Johnson, president and COO of the National Press Foundation; Kevin Goldberg, AAN’s legal counsel; Margaux Ewen, advocacy and communications director at Reporters Without Borders, North America; and Margaret Talev, Bloomberg’s senior White House correspondent. 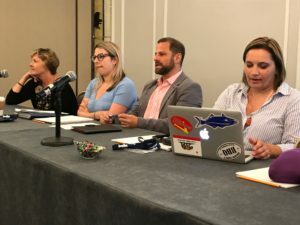 Looking back to Friday, July 28, when the Association of Alternative Newsmedia convened a panel on Threats to Press Freedom at its annual conference, there was already plenty of topics to fuel discussion. The panelists talked about how accusations of fake news, manhandled reporters, lack of transparency are all impacting the way the press is covering the White House. Kevin Goldberg, AAN’s legal counsel, organized the panel, which was emceed by Sandy Johnson, president and COO of the National Press Foundation. Rounding out the panel were Margaret Talev, Bloomberg’s senior White House correspondent, and Margaux Ewen, advocacy and communications director at Reporters Without Borders, North America. 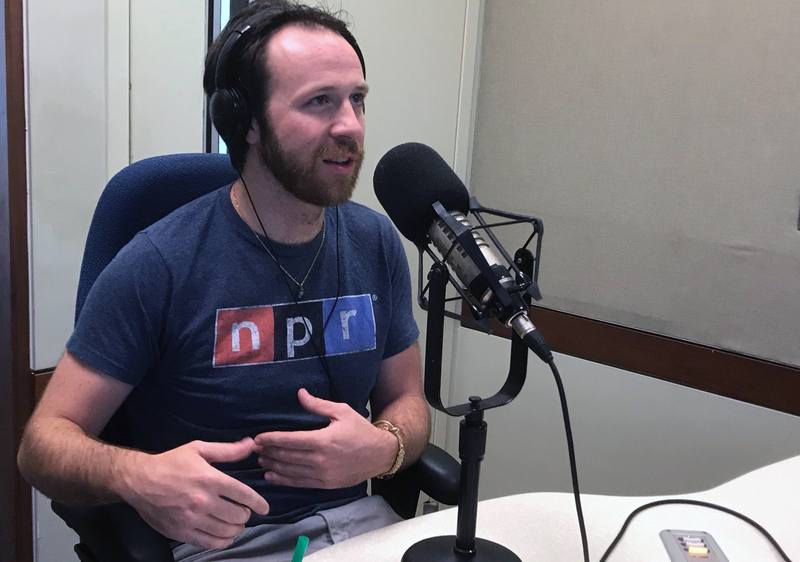 Nick DePrey is the digital programming analytics manager at NPR. He’s also the composer of It’s All Journalism’s new theme music. It’s All Journalism will be celebrating its fifth year as a weekly podcast on Aug. 4. For most of that time, we’ve used a generic theme song that was purchased through a rights-free website. While we liked that music, in recent days, we’ve come to feel it was a bit utilitarian and didn’t represent who we are now as a podcast. 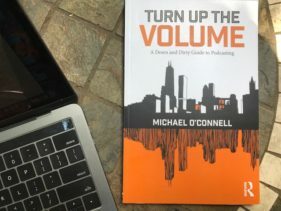 In this special podcast, Nick DePrey joins us in studio to discuss the new It’s All Journalism theme music. With a musical career spanning two decades, Nick’s work has appeared on NPR, Gimlet Media and KQED. In his day job, he works in Washington, D.C., as NPR’s digital programming analytics manager. You might’ve also noticed that we recently updated our logo. That’s the handiwork of cartoonist and graphic artist Carolyn Belefski. The new theme music and artwork are just two examples of how we’re trying to make our podcast a better experience for you. Stay tuned for more announcements coming soon.